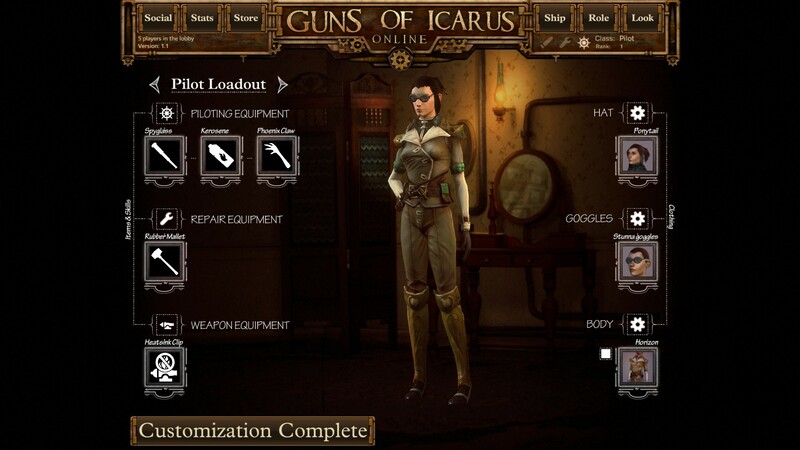 Guns of Icarus Online contains plenty of options for your ship and (as shown here) your avatar. How well does this work in practice? First off, a disclaimer: I am terrible at this game. My kill:death ratio as a captain is 3:16! As such, I’m not the best person to comment on mechanics or balance – one reason why I hesitate to call this a review. That said, so far it has been a lot of fun to try out different roles. For instance, I find it a bit monotonous to run around playing repairman, but – even if I’m bad at it! – I love the mix of situational awareness, piloting acumen, and tactical skill required by a captain. Similarly – and again, like a MechWarrior game – I’ve had a lot of fun trying out different builds. I’ve crewed, or fought against, small, fast ships built to disable their opposition with close-range fire; lumbering capital ships fitted with long-ranged, hull-busting artillery; and probably everything in between. Sooner or later I expect players would settle on a preferred role/build, but they could certainly have fun working out what that might be! Thereafter, I think replayability will depend on the extent to which players want to stick around to master the game. 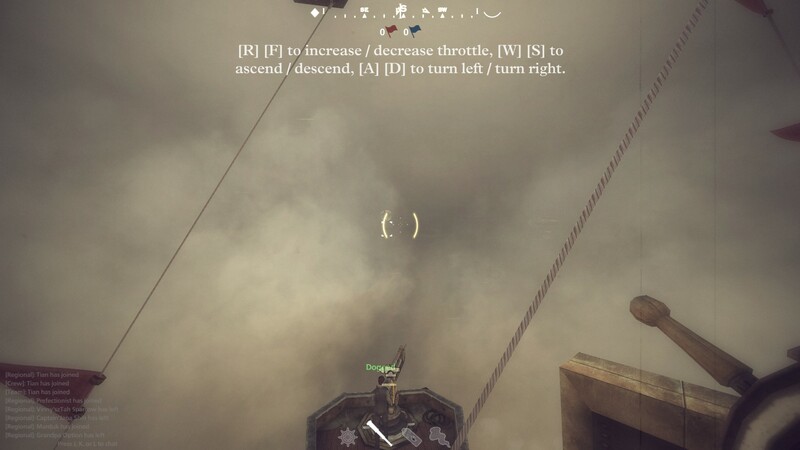 Jumping straight into the game can feel like flying blind. The game’s backgrounds are often easy on the eyes. But the real appeal of Icarus is the experience it offers. This game is a labour of love, and it shows; Icarus’ art design makes up for any technical limitations born of indie constraints. Beauty and desolation go hand-in-hand: this is a world of glorious sunsets and luminous blue fog, dust storms and beached battleships lying forlornly on the desert sand. The music is simple but effective, from the lovely menu theme to the low, rhythmic drumbeat that sounds when you go into combat. Ditto the flavour text – I love that this is a world where captains turbocharge their engines with moonshine! The ships feel distinct, both in practical and in cosmetic terms: a zippy little Goldfish handles very differently from a mighty Galleon, blows up much more quickly, and is visibly far more ramshackle. The plank-and-rope bridge leading to the Goldfish’s aft engine is miles away from the comforting solidity of the Galleon’s hull, and the Galleon even has carpet on the stairs leading up to its poop deck! Most of all, the team-based gameplay – when playing with a cooperative crew – meshes beautifully with the game’s subject matter. 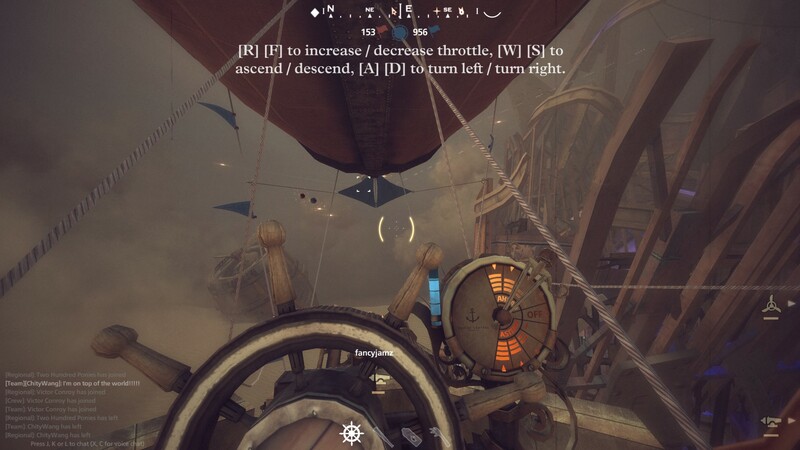 When my gunner calls for me to steer up and to the left so he can get in a shot, or I warn the crew that I’ve seen bandits at three o’clock high, so stand by the main guns, that is when the illusion that I’m on an airship becomes its most convincing. 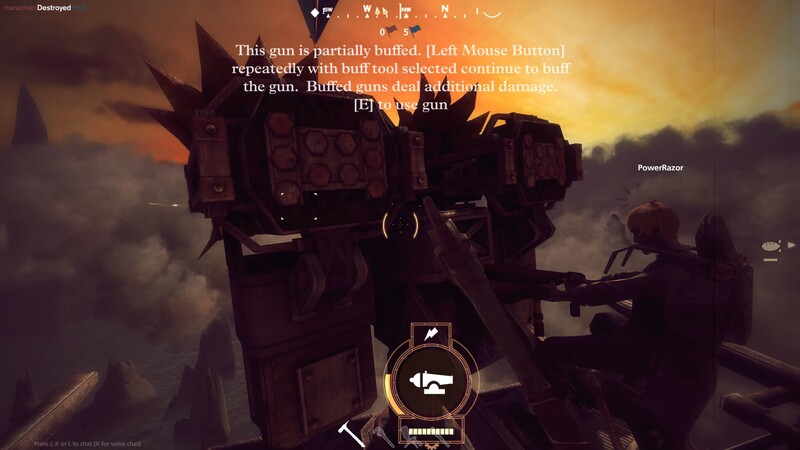 That illusion – as produced by art, music, and teamwork – is the best reason to play Guns of Icarus Online. There are games better at producing moment-to-moment thrills, and there are almost certainly games with more lasting appeal. But nothing, so far, has brought a steampunk/dieselpunk atmosphere so vividly to life. 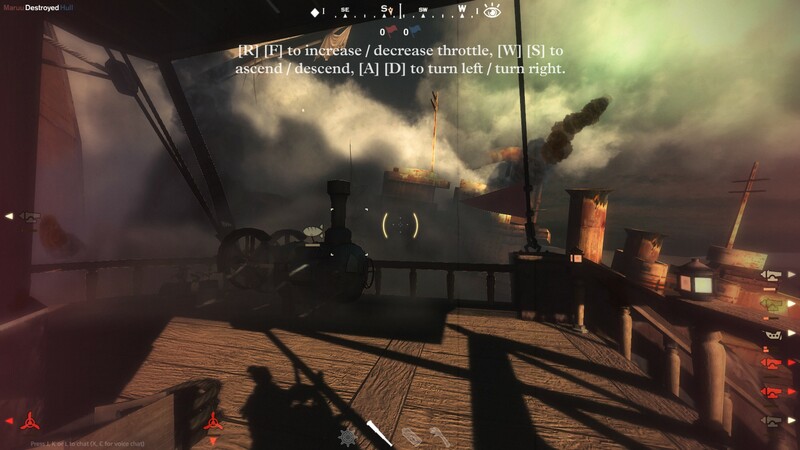 Recommended for fans of team/vehicle-based multiplayer, steampunk buffs, and anyone who might want to re-enact Last Exile; though the caveat is that this is something best played with friends – keep an eye out for 4-packs during the next Steam sale! Note: Muse Games has stated that the next stage in Icarus’ development (no timeline as of yet) will be “Adventure mode” – a paid expansion that will add a persistent world, trade, and factions. I look forward to hearing more. Time spent with the game: Around three hours of actual match time, according to the game. This translates into 18 matches, plus a couple more I played during the beta. 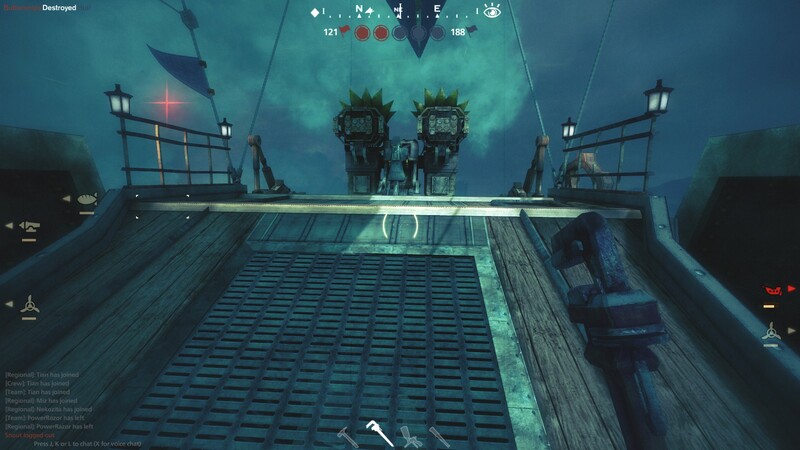 What I have played: At least 3-4 of the game’s maps, and two out of the six available ship types (Galleon, Goldfish). I’ve played with both friends and pick-up groups (PUGs). What I haven’t played: The remaining four ship types. The remaining maps.